You heard it here first: The Backstreet Boys will break up in November! Brian and Nick will pursue successful solo careers. Howie will do stand-up comedy and Kevin will hit the lecture circuit. And A.J.’s shot at going solo might make him wish that the group was back together. That noise you just heard? It’s the sound of countless young girls fainting at the mere thought of a world without the Backstreet Boys, who perform - for the last time in Orlando, perhaps? - tonight at the TD Waterhouse Centre. Before panic grips an unsuspecting nation, it’s time to confess that this dramatic news has not been confirmed by any official sources. It’s the prediction of Orlando psychic Dikki-Jo Mullen, whose astrological tips are about as off-the-record as it gets. Why the psychic connection? Well, the mainstream media has been predicting the demise of teen pop for years now and, quite frankly, we’re getting impatient. Plus, the Backstreet Boys are well past the Wonder Years - once a guy hits 30, it’s harder to justify stealing the hearts of 13-year-olds. Besides, the transition from teen idol to adult can be a tricky one. Barry Williams had to recover from a flubbed date with Brady Bunch mom Florence Henderson. Donny Osmond seemed plenty stressed out in that made-for-TV movie. And need we even mention the Danny Bonaduce meltdown? So it’s really as a public service that the Sentinel spent $50 for a glimpse into Backstreet Boys Future. So what is it you wanted to know? Is the band breaking up? 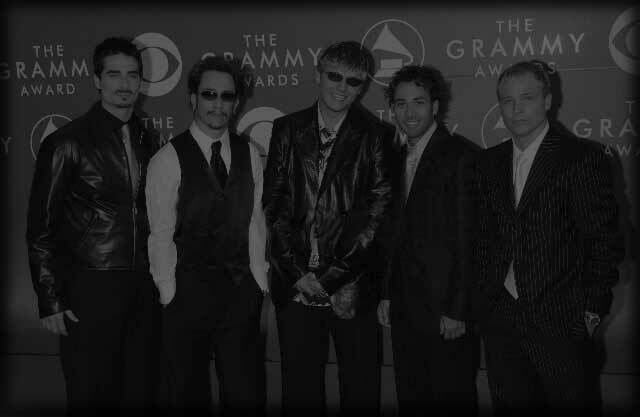 Using astrology and tarot cards, Mullen feels strongly that something will happen in November that will change the Backstreet Boys forever. Look for Nick to be at the center of it. "There’s a little bit of anger and controversy around him from the 28th of October to December 6," Mullen says. "He might argue with the other performers, and there could be a tendency for him to offend fans." Don’t blame him, though. The guy is coping with Neptune making a once-in-164-year passage over his sun and Mercury in Aquarius. Who wouldn’t be cranky? "There’s a lot of confusion around him," Mullen says. Hey, the explanation is confusing enough. Mullen noted that there’s also significance to the rare occurrence of a blue moon in November, which portends strange twists of fate. It falls in Gemini, which is the moon sign for Howie, Nick and Brian. That common moon sign also means the Boys might have performed together in a past life. Maybe it was in ancient Egypt, when the group’s choreography might have seemed more inspired. But back to the blue moon: "It could mean an unusual offer for some but not all of them," Mullen says. "It could mean they suddenly change the direction of their art. They could draw in one new person and drop someone." Mullen runs her fingers along a photograph of the band. "I feel that one of the performers could be leaving and I feel I want to go with Nick. The others could take someone else in to work with them." "I feel that periodically for many years, they will get together and perform together, then they will go separate ways and do other things. I want to use the word reunion.’"
Between reunions, Brian and Nick will thrive as performers, focusing on dance and electronic music respectively. A.J. will be financially secure but less commercially successful, Mullen predicted. "He isn’t going to do quite as well alone," she said. "He would do better to work with the other performers." The cards show that Howie eventually will be very popular as a stand-up comedian, Mullen said. There also could be film roles or a Broadway show. "I keep getting stand-up comedy as well as speaking and acting," she said. And although Kevin will continue to write music on keyboard, he will find a niche talking about the Backstreet Boys on the lecture circuit. "He might go to places where he would talk about being a performer," Mullen said. "He could maybe go to schools or places where students are studying music or acting and talk about what it’s like to be a performer, where the Backstreet Boys are going and how they got together. It’s kind of like it’s important to him to communicate the message." And what about the prospects of those promised reunions? Those shows might offer a new sensation for the band, which is used to getting blasted by critics. "I won’t say all of them universally, but I do feel over a four-year period the Backstreet Boys will get some better feedback from the critics," Mullen said. "Maybe not all of the critics will like them, because this is a group of volatile energy." Could it be that these guys aren’t so bad after all? Or maybe it’s just Neptune making that rare passage over the sun.